Need a Homeowners Insurance comparison in New Orleans? If you’re like most homeowners in New Orleans, your home is your most valuable asset, and should be protected as such. When your home is damaged or destroyed, you need your claim settled by an insurance company that understands the importance of the place you call home. Garcia Insurance Services can help you find the best homeowners insurance that will best meet your needs and provide the most valuable combination of tailored coverage, quality service and competitive pricing. Regardless of whether you live in New Orleans or any other part of Louisiana, homeowners insurance is one of the most important insurance policies you could ever own. If you’re not using an independent agent in New Orleans like us, it can be hard, if not impossible to tell the difference between two homeowners insurance policies. Homeowners insurance, hazard insurance, and property coverage are often used interchangeably, but they refer to the same thing: protection for your house. Understand that FLOOD damage is NEVER covered by your home insurance. Your home insurance policy is not a home warranty or a maintenance policy. As a homeowner you are responsible to replace and maintain items that are worn or past their life expectancy, like a roof for example. Different insurance companies provide different packages within a policy, but there are some basic universal coverages that exist across all homeowners insurance policies. The standard policy typically includes coverage within these 6 main categories. Coverage A is generally the most referred to part of your policy. If you have a mortgage, this is the coverage that your mortgage company is most interested in. This will pay to repair or rebuild the structure of your home – which includes electrical wiring, plumbing, heating, air conditioning units, roof, attached flooring, etc – when it suffers damage by a covered cause of loss. The goal of insurance is to put you back to the same place before the loss so it is important to make sure you have the correct amount of coverage A limit. Keep in mind what you pay to buy your house and it’s insurance value are not always the same number. Insurance companies are not concerned with market value, retail value, or the tax value of you home. They want to insure your house for its replacement cost. That’s why independent agents like us will ask questions about your house regarding construction. We use tool called replacement cost estimators to determine how much it should be insured for. 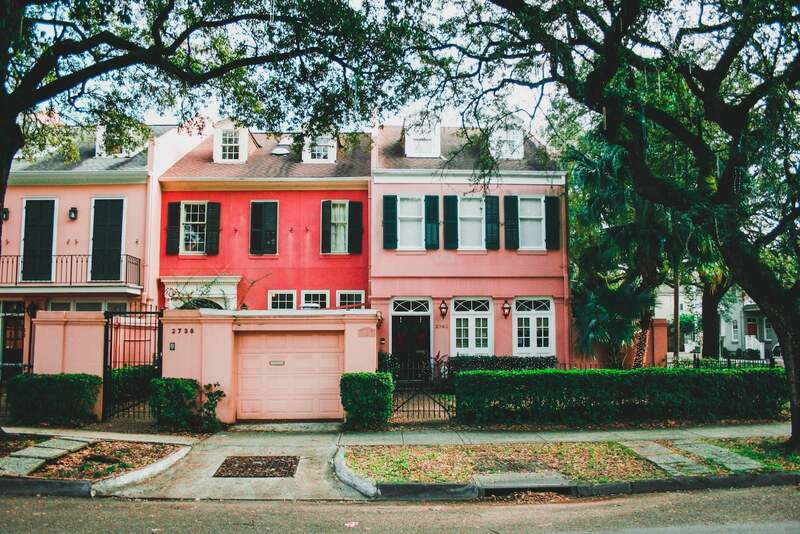 Depending on where you live in the New Orleans area, what you pay for your home can be drastically different. Let’s take a 2400 square foot house in Algiers or Marrero built in 2010 and compare that to a a similar house in Uptown or Lakeview. There could be a $200,000 or more swing in market value, but the cost to rebuild could be similar. Other structures will pay to repair or rebuild damage to structures on your property that are detached from you house that are damaged by a covered peril. Most home policies have a built in 10%-20% of your Dwelling coverage. For example if your house is covered for $300,000 (Coverage A), you will automatically get $30,000-$60,000 of other structures covered. Talk to your independent agent about any other other structures on your property. Some companies allow you to reduce or increase this coverage, but not all. A claim is not the time to find out that you did not have enough coverage to replace that mother in-law suite in your Uptown home or that pool house in your Lakeview home. Personal property coverage protects all the stuff you own. Most home policies will provide either 50% to 75% of your dwelling limit (coverage A) for this coverage. For example, if you insure your home for $300,000, then you will have either $150,000 or $225,00 in Personal Property coverage. Keep in mind that the burden of proof is on you as the homeowner. Recalling all the stuff you owned in the event of a fire is an overwhelming task. The best way to do that is to take pictures of your home, take a video of your personal property, and document everything. This will make life easier if you ever have to file a claim. And remember that, unfortunately, not all things can be replaced — like your wedding album from when you got married at City Park, or that signed Drew Brees jersey from when the Saints beat the Colts in the 2009 SuperBowl. Be aware, most policies include limitations to the coverage on items like cash, jewelry, firearms, artwork, and other collectables. You will want to review your policy with your independent insurance agent to see what your home insurance policy provides. If your house is damaged by a covered loss, and as a result you cannot live in the house because it’s temporarily uninhabitable, Loss of Use kicks in. This will pay for additional living costs you and your family will incur while your home is being repaired or rebuilt when it suffers damage by a covered cause of loss. Loss of use is usually 10% of Coverage A. So for that house that’s insured for $300,000, whether its on the West bank or in Metairie, you’ll have $30,000 limit in coverage. Different companies limit will vary and how the money is paid out may vary as well. For example, the payout may be subject to a monthly limit. Loss of use coverage on your home insurance policy is meant to pay for you to live in a hotel while your home is being repaired or rebuilt and if it it will be an extended period of time it may pay for you to rent an apartment or home. Personal Liability Coverage applies if someone is injured or their property is damaged and you are to blame. The coverage generally applies anywhere in the world. When choosing your liability coverage limits, consider things like how much money you make and the assets you own. Your personal liability coverage should be high enough to protect your assets if you are sued. In some situations, an Umbrella policy may be necessary to provide extra coverage. A standard home insurance policy will include $100,000 of coverage which in many cases is not enough. At Garcia Insurance Services, you New Orleans insurance experts, for around $20-$40 annually, we recommend that you increase your Personal Liability coverage to $300,000 or even $500,000. In some cases, if you have a lot of assets to protect, we recommend an umbrella policy for additional Liability coverage. Medical payments covers medical expenses for guests if they are injured on your property, and in certain cases covers people who are injured off of your property. It does not cover health care costs for you or other members of your household. At an additional cost, you can tack on “endorsements” or “insurance riders,” such as the ones listed below, to fill gaps or limitations within a standard homeowners insurance policy. Different companies will have different terms for each coverage, but these listed here will give you an idea of the types of coverage which enhance your protection. Business Insurance: If you work from, or run your business from home, this provides limited coverage for business machines, tools, and liability. “Scheduled” Personal Property (also called a “floater”): You can take an inventory of your special personal belongings like jewelry, furs, coins, computers, antiques, artwork, and silverware, and “schedule” them into this specialized coverage called a “floater.” Scheduled items are covered for higher limits of loss as compared to the limits provided in the included coverage. Sewer Backup and Sump Pump Overflow Endorsement: Pays for damage to the interior of your home caused by sewer backup or sump pump overflow. Animal Liability: Most homeowners policies exclude liability on all animals. Most carriers will allow you to “buy back” the liability coverage if the breed of animal is not on their excluded breeds list. Animal Liability is typically not available for exotic, saddle or farm animals such as horses, cows, snakes, monkeys, and other non-traditional household pets. Actual cash value and replacement cost value are two different methods that can be used to calculate how much money you receive if your property is damaged, lost or stolen. Actual cash value takes into account any depreciation that has occurred over time and replacement cost value is based on the cost to fully replace your property at current value. For example, if the roof for your home in Gretna is covered for its actual cash value, your insurance company will deduct depreciation from your roof’s overall value to calculate how much they will pay you. This means that if your roof is old it’s actual cash value is going to be significantly less than the amount it will cost to replace it.